The Kroger Co. is expanding its earlier recall of its 12 oz. 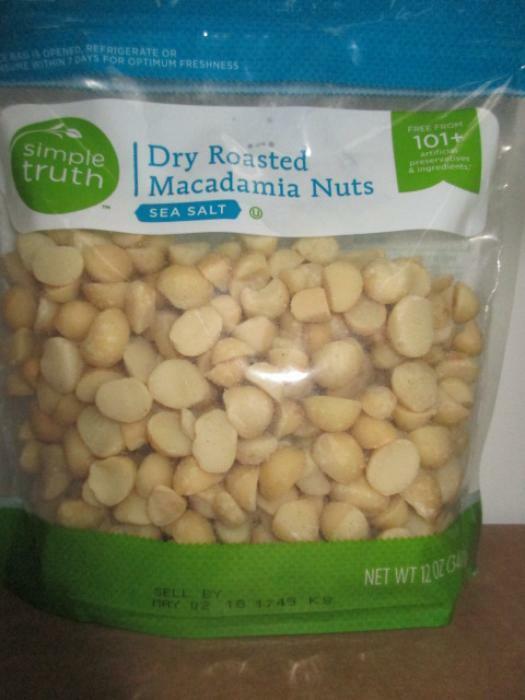 packages of Simple Truth Dry Roasted Macadamia Nuts. Apr. 07 2018 12 oz. The recall has been expanded to include all stores nationwide under the following names: Kroger, Ralphs, Food 4 Less, Foods Co., Fred Meyer, Fry's, King Soopers, City Market, Smith's, Dillons, Baker's, Gerbes, Jay C, Ruler Foods, Pay Less, Pick ‘N Save, Copps, Metro Market, Owen's and QFC. Customers who purchased the recalled product should not consume it, but return it to a store for a full refund or replacement. Consumers with questions may contact Kroger at 1-800-KROGERS, Monday through Friday 8:00 a.m. to 12:00 a.m.( ET) and Saturday and Sunday 8:00 a.m. to 9:00 p.m. (ET).